Sept. 17, 2018 -- Peter Maher, a retired teacher in London, says weight has been a long-term issue for him. But when it inched up even more a few years ago, his type 2 diabetes became more unmanageable. Soon after the scale read 245 pounds, he remembers catching a glimpse of himself in a mirror. He found a London doctor who had published research about how substantial weight loss can reverse type 2 diabetes. In late 2015, he emailed Roy Taylor, MD, at Newcastle University and said he'd like to go on the plan Taylor had devised. The response? "You and 20,000 others." Taylor's plan was so popular, he could take on no more people. Maher persisted, so Taylor sent him detailed directions and the protocol -- a strict liquid diet of 800 calories at first, with regular food then phased in. The liquid diet consists of four servings of soup or vitamin-rich shakes. By September 2016, after months of dieting, Maher had lost 66 pounds and was able to go off all his diabetes medicines, including insulin. His general practitioner said he had truly resolved his diabetes. And he had had the disease for about 30 years. Now, he is one of Taylor's poster patients -- he's kept off most of the weight and still does not need insulin or other diabetes medicines. While doctors have known for years that weight loss can not only prevent diabetes but sometimes reverse it, recently Taylor has found new clues as to why. 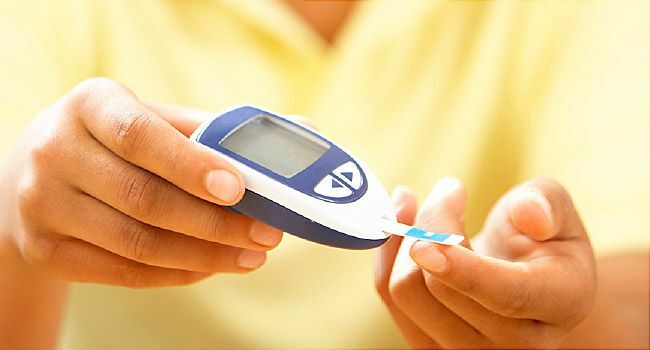 Type 2 diabetes, he says, "is simply due to too much fat inside the liver and pancreas of people who happen to be susceptible to the fat-induced damage.'' Losing a substantial amount of weight can kill off that fat, often allowing the organs to work again, including a return to normal insulin production by the pancreas. As a result of his research and his success stories, Taylor encourages other doctors to stop turning to diabetes medicines right away and more strongly encourage weight loss as the first step for their patients newly diagnosed with type 2 diabetes. And the sooner, the better, he says. While Maher reversed his diabetes decades later, that's not typical, Taylor says. The ideal management, he says, is to start serious weight loss efforts right away. "As you would expect, people have a different length of window when they remain reversible," Taylor says. "For some, even 3 years is too late." In an earlier study, Taylor's team assigned 149 patients to the strict weight loss program and another 149 to usual care such as treatment with medications. Most were diagnosed within the previous 6 years before the start of the study. After a year, only 4% of the usual care patients had remission of the diabetes, but 46% of those on the weight loss program did. The more they lost, the higher the chances of reversal. While 7% of patients who lost less than 11 pounds went into remission, 86% of those who lost 33 pounds or more did, Taylor found. In general, “remission” in diabetes means a person’s blood sugar levels remain normal. While some refer to this as a “cure,” diabetes is not a “one and done,” disease. That is, it could always return if the patient regains the weight or returns to unhealthy habits. In 2009, a group of diabetes experts wrote that “remission” is a term used when a person has normal blood sugar levels for one year without therapy or surgery. In the latest study, Taylor took a closer look at some of those patients who reverse, and ''we have a clear physiological handle on what is happening," he says. When the weight loss lessens the liver and pancreas fat, the insulin-producing beta cells in the pancreas come to life again. "Almost everyone will return to normal if they lose a substantial amount of weight," Taylor says. "This is a simple disease." What's yet to be figured out, he says, is why the weight loss doesn't lead to a reversal in everyone. The new research ties in with recent thinking among experts about what happens when type 2 diabetes develops, says Domenico Accili, MD, chief of endocrinology at Columbia University Vagelos College of Physicians and Surgeons. "We have been talking for some time, that in diabetes, primarily type 2, the insulin-producing [beta] cell is not dead but simply inactive," he says. "If you put patients with diabetes on a diet, you can do marvels with their beta cells." Taylor's research, and that of others, suggest that lifestyle modification, such as weight loss and exercise, may have a larger impact on diabetes than experts had thought, Accili says. Prompt weight loss as soon as possible after the diagnosis can definitely turn people around, agrees Matthew Freeby, MD, an endocrinologist and director of the Gonda Diabetes Centers at UCLA Medical Center, Santa Monica and Westwood, CA. He agrees with Taylor's advice. He emphasizes lifestyle changes and weight loss as a first step. "We give them a 3-month trial of diet and lifestyle [modification] before starting medications," he says. "A lot of times, for many patients newly diagnosed, we will see the sugars melt back into the normal range" after the weight loss and other changes. He has seen it happen after a weight loss of 7% to 10% of their starting weight. While that's great news, Freeby warns that the effort is never done: "Once someone rises that high, they are always at risk for their sugars rising again." Weight maintenance becomes critically important, he says. Maher says the effort to maintain the weight loss is constant and tremendous, but worth it. "I keep to a very, very low-carb diet," he says. "No pasta, bread, rice or potatoes." But he did indulge a bit to have ''a few glasses of bubbly" at his 70th birthday bash, he says. Roy Taylor, MD, professor of medicine, University of Newcastle, Newcastle upon Tyne, U.K.
Peter Maher, 71, retired head teacher, Ennerdale Bridge, U.K. The Lancet: “Primary care-led weight management for remission of type 2 diabetes (DIRECT): an open-label, cluster-randomised trial." Cell Metabolism:” Remission of Human Type 2 Diabetes Requires Decrease in Liver and Pancreas Fat Content but Is Dependent Upon Capacity for B Cell Recovery. Domenico Accili, MD, chief of endocrinology and Russell Berrie Foundation professor of diabetes, Columbia University Vagelos College of Physicians and Surgeons, New York. Matthew Freeby, MD, endocrinologist and director, Gonda Diabetes Centers at UCLA Medical Center, Santa Monica and Westwood, CA; associate professor of clinical medicine, UCLA David Geffen School of Medicine.